In what could ultimately be a game-changer in the credit card industry, it appears credit card companies are considering charging customers a new sort of annual fee – for paying off your balance each month. The information is coming slow, but I did find a good article by USA Today, Latest Bank Fee is for Paying Off Credit Card On Time Every Month, that runs down a few of the cards and their new tactics. Credit card companies, and their defenders, will of course point to the new Credit CARD Act, which will limit ... Read the entire article. Last Sunday I went grocery shopping, one of the best tips I got from my mother was to take a calculator with me. There are two reasons, one, to keep myself on budget and two, for figuring out cost per… whatever. As I walk around the store and pick up items I enter them into my calculator and round up to the nearest dollar when I do (I’d rather be over than under). Secret #2 is to make sure that I jot down on a piece a paper (back of a junk mail envelope) a list of food that I need to buy. I also include junk food as well and exactly what I am going to buy so that I don't get carried away. Did you know that shopping without a list can cost you up to 40% more with the ... Read the entire article. When Should You Fire Your Real Estate Agent? Lately several couples I know have been trying to purchase real estate, and it seems that none of them are too happy with their real estate agents. Some of them have been working with their agents for months without any positive outcome. The fact is that some of these poorly performing agents should have been fired long ago. Here are some signs that you should fire your real estate agent. 1. You know the agent is being unethical. One person reported that his agent sent multiple buyers to the same houses, and subtlely encouraged the buyers to bid against each other. This agent is basically pitting his own clients against each other and that is not in the interest of any of the clients. If you suspect your agent of being unethical then it is probably best to cut off that relationship because these agents could bring you more trouble down the road. 2. The agent seems to have no basic knowledge of the local real estate market. A good buyer's agent should know the general condition and trends of the real estate market he or she works in and provide some advice to buyers as to how much money to ... Read the entire article. Since we work from home, we do much of my shopping online. Years ago we signed up for eBates to get rebate checks for shopping through the eBates website. Since March 2008 we've earned $321.86 in rebate checks. It's free. No commitments. Signup and shop through it. Your rebate percentages will accrue and you can cash those checks to spend for a special family day. Check it out. And I believed them. Instead of paying attention to my natural interests, I started focusing instead on which majors offered high paying jobs and, from there, I picked a major in the hard sciences that seemed to interest me the most. It was a ... Read what a "good job" consists of. The house goes from noisy and happy to empty and quiet. Even as I attempt to fill it with music and NPR, it still feels somehow vacant and still. The liveliness is gone – no more children’s laughter floating up the stairs to cheer me while I’m working and no more occasional interruptions by Sarah just to let me know she’s ... Read the entire article. Less than 3 years ago, researchers in South America discovered a new alternative to controlling powdery mildew. Wagner Bettiol, a scientist from Brazil, found that weekly sprays of milk controlled powdery mildew in zucchini just as effectively as synthetic fungicides such as fenarimol or benomyl. Not only was milk found to be effective at controlling the disease, it also acted as a foliar fertilizer, boosting the plant's immune system. Powdery mildew in the cucurbit family is caused by the organism Sphaerotheca fuliginea. It is a serious disease that occurs worldwide. For decades, organic gardeners had to rely on making a spray from baking soda to control the disease. Now, instead of measuring out the baking soda and combining it with a surfactant (a 'sticking' substance) of either oil or soap, gardeners need only head for their refrigerators. In his experiments with zucchini plants, Bettiol found that a weekly spray of milk at a concentration of at least 10% (1 part milk to 9 parts water) significantly reduced the severity of powdery mildew infection on the plants by 90%. While some gardeners may be tempted to increase the concentration of milk for more control, Bettiol found that once concentrations rose above 30%, an innoccuous fungus began ... Read more about how milk helps with mildew. Planning on changing out some windows and doors, hot water heater, HVAC system? Check out the government website that will tell you about tax credits, so you make the right choice for savings on your purchase. Energy Tax Credits. Yard Sale Treasure Map (YSTM) allows you to search for yard sales in your area. 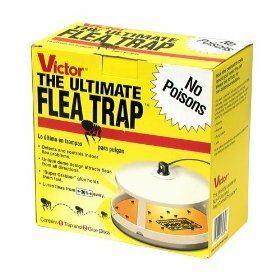 There are countless websites today that claim to be the “place to go” on the web to find and post garage sales. But let’s be honest … there is only one globally accepted online source for garage sale ads … Craigslist! Not only is Craigslist a wonderful resource, it is also absolutely free! So honestly, why bother posting your ad anywhere else online? Craigslist ads feed into YSTM so you can see where the sales are on the map. Visit Now. When you’re trying to come up with a meal in a hurry, there’s nothing like having a fully-stocked pantry. There’s no limit to the things I can whip up when my pantry is full. If you’re new to the idea of stocking a pantry, though, you may be a little overwhelmed trying to decide what things are essential to have. Grocery stores are full of things that look good, but may not work well as stock items. To be honest, no one can tell you exactly which items you should include in your pantry stockpile. Some of these choices have to be made based upon what your family eats. If you’re into pasta, for instance, you’ll definitely want to include some different types of pasta. 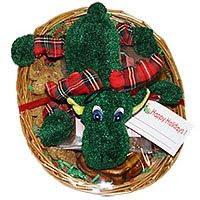 On the other hand, if your family likes sweets, you’ll want to make sure you have plenty of baking supplies on hand. Although you have to decide for yourself what things you have to have in your pantry, I thought I’d tell you about the things we keep in our pantry. This list should get your mind working to help you create your own list. Read the entire article. It is a common misconception for many people that bottled water is safer than tap, plastic bottles get recycled, and no harm is being done to the environment in the bottling process. Unfortunately, that could not be further from the truth! So in case you either needed more reasons to stop drinking bottled water, or a few extra talking points when discussing with your friends, I have assembled 12 solid reasons to kick the bottled water habit. Small changes have reduced electrical charges in my home. On a year-over-year basis, we have used 20 percent less electricity due to two minor adjustments. We have switched most of the light bulbs to compact florescent bulbs (CFLs), an energy-saving option. Additionally, during the day and vacations, we turn off the water heater, a move that generates cool savings. Those are just a few of the ways of finding additional space in a tight budget, according to the Consumer Credit Counseling Service (CCCS) of Palm Beach County, Fla., and the Treasure Coast. How do you cut the fat if your budget is already lean? A reality check will help you write smaller checks for household bills, according to the folks at CCCS. 'Successful saving starts with a realistic look at how you are spending money now and what changes you can realistically make,' said Jessica Cecere, president of CCCS. For example, consumers can cut electric bills by $50 or more by washing clothes in cold water, using energy-efficient bulbs and installing a programmable thermostat, Cecere said. Here are other recommended changes: Read the entire article. The first doses of the H1N1 swine flu vaccine are NOW arriving at clinics around the United States, and many people are lining up to get their vaccine. Is the media accurately informing the public what they are taking? Most Americans do not realize that the early batches of the H1N1 swine flu nasal vaccine contain live swine flu. If you are trying to avoid the swine flu do you really think that it is a good idea to have live swine flu injected up your nose? Many health experts are expressing a great concern about the safety of FluMist, and many hospitals are rejecting this nasal spray vaccine all together. Several Denver area hospitals are rejecting the FluMist swine flu vaccine because "they don’t want to endanger patients". Our proven defense against viruses is Silver Shield, EPA approved as non-toxic with patented technology. Fall typically means cooler temperatures, more dependable rains, fewer pests and disease problems and an amazing burst of foliage color. If you're lucky enough to live in an area where fall color can be spectacular, you get to watch how deciduous plants can go from solid green to an amazing array of yellows, oranges and reds. Keep in mind that a plant's ability to produce vibrant fall color depends largely on genetics. Weather plays a minor role, but unless a plant is genetically hard-wired to produce color, there's nothing you can do to change that. So enjoy the color for as long as it lasts, knowing that as fall turns to winter, more changes will take place. Here are some tips on getting your yard ready for the chilly season. Weather stripping and caulking your home will not only keep the elements out, but it will help reduce your energy costs. Here's the best advice and instruction for weatherproofing your home. Read the entire article. Get step-by-step instructions. Do you know that this year over 557 million tennis balls will be manufactured globally. And do you know what happens to these tennis balls when you are finished with them? Not much! The majority end up being dumped in landfills. To date very little recycling of tennis balls has been done, but now you can discover the many ways you can recycle tennis balls and help your environment. If you love tennis then find out how you can recycle your tennis balls easily and efficiently. Visit RecyleTennisBalls.com. My parents have taught me many lessons about saving money and leading a high quality life via being practical, but the following ten lessons were most influential in shaping how I lead my life as a thirty-something today. Some of the lessons are what would be described as old school and some may be overly ... Read the 10 money lessons. Enter a favorite artist, song or composer; and the site will create a custom radio station featuring your favorite music, plus other music like it. You can create up to 100 radio ... Read about the other 7 sites. It's getting to be fall. Can you smell it? I can't, but I know it's true because I see the fruits and vegetables in my grocery store changing. Slowly, the peaches, nectarines, and plums are getting more expensive and less tasty, and the winter staples like apples, pears, and potatoes are taking center stage. It always makes me sad, this transition from summer to fall, when I have to say goodbye, for a whole year, to some of my favorite foods. But the only other option is to pay exorbitant prices for food that tastes worse and that I know has been brought in from far away, and I'm just not willing to do that. If you're like me, reveling in the fresh produce of summer and saddened when it departs in the fall, despair isn't your only option. There are good ways to preserve ... Read more about how to eat healthy. - A mom talking to her friend at the grocery store. For many parents, helping their children financially is ... Find out how much you should leave. Have a bit of soup stock, tomato juice or sauce leftover after you've prepared a meal? Ice cube trays are the perfect way to store it. Just fill a tray with your leftovers, and freeze. Then, transfer the cubes to a freezer bag once they're completely frozen. How much liquid does a cube hold? One ice cube is generally the equivalent ... Find all the uses. Did you know quite a few, if not most, of organic food companies these days are actually owned by major labels that you stopped supporting years ago? Is that really a problem, since it means that organic is available just about everywhere these days, or does it mean the movement has lost part of its soul? New article by the Reading Eagle delves into the issue. Michael Potter, owner of Eden Foods Inc, in a recent interview with Reading Eagle, said that he gets offers several times a week these days to sell his company. While he has stuck to his guns thus far, many people mock him for not ... Find out more. For years, our solution to this problem has been a big roll of paper towels. It’s simply what we’re familiar with and, like many simple and familiar things in life, it was almost an automatic thing to have on hand. We simply had paper towels in the ... Read the entire article. Consumption costs us money and the more simply we choose to live, the more money we can save. The thing is, no matter how eco-friendly the products that we buy may be, they still come with packaging, they still take energy to make, and they are nearly always still trucked from somewhere. The biggest/most obvious eco-friendly tip of the year is consuming less (energy, water, "stuff,") is better for the planet. Find '15 Easy Ways' how you can, with tips from milk to make-up, cleaning agents to coffee. If time is money, and I sincerely believe it is, then these five remote control hacks will save you a little of both. I discovered them when I was searching for a way to increase the range of my remote control (I just can't change channels all that well from the kitchen) and found not one but five great hacks. Some are time savers, others money savers, and some do both. They're all quick, easy and require very little, if any, extra materials. This first hack should take you about five minutes.The basic premise is this: your average Motorola-made DVR, the one that your cable-TV provider gives you, should come with the ability to skip ads ... See all the hacks. Now that you’re living on your own, you’re free to make important decisions in your everyday life — from what food to eat at dinnertime to how to spend your school nights. Trust me, there’s nothing better than being able to take a two-hour nap in the afternoon and then catch a late-night movie with friends. One thing to not forget about, though, is your eco-lifestyle, even with the abundance of resources that colleges have available. Having lived the college life for three years now, I’ve learned quite a bit, and here are my top 10 tips — in no particular order — on how stay green this year. Read the entire article. Sure, everyone knows that saving energy saves money by lowering utility bills. Well, now you can get paid for saving energy at home by registering at MyEmissionsExchange.com. This free website pays registered users for lowering their monthly utility bills. After you sign up, you can earn rewards by showing that you’ve reduced your electric, natural gas, propane or fuel oil bill from the same month a year ago. You must prove 12 months of bill history before you start earning rewards; most utility bills display a year’s worth of billing history. All you have to do is input a recent utility bill. As you reduce your energy use, you gain “personal carbon credits,” verified by MyEmissionsExchange.com. Read the entire article. A virtual memorial is an online memorial website that celebrates the personal life story of a departed loved one, human or pet. It offers a way to honor a loved one in a way that can be shared with anybody online. I believe the process of creating one would be very healing. Virtual Memorials was founded in 1996 and hosts thousands of online memorial websites. Memorials are created either as public to share with the world or made private. For private tributes, you must be invited by the memorial creator to visit and given a password. Visit Virtual Memorials website to find free memorials or sponsored ones with a fee. 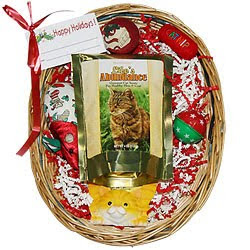 They have also launched a site, Critters.com for pet memorials. Explore the deeper meaning of your home's style. Home. It’s a small word for a universal idea, one that resonates deeply with complex individual meanings and associations. In her seminal book, House as a Mirror of Self: Exploring the Deeper Meaning of Home, which resulted from her work on a low-income housing project and a series of case studies, Marcus came to understand that “People consciously and unconsciously use their home environment to express something about themselves.” For Marcus, our evolving self-image is directly reflected in the homes we create, like a chambered nautilus, around our deepest self. Sometimes, we discover that we have outgrown the shell in which we currently live, and a change is in order, remarks Jill Butler, an illustrator, creativity coach and author of Create the Space You Deserve: An Artistic Journey to Expressing Yourself Through Your Home. Read the entire article. This information is being distributed by the Dallas / Ft. Worth IBM Organization to warn it's thousands of members of fraud associated with the 2010 Census (some pre-census activity is already underway). However, this warning is for ALL citizens, so you may want to pass it on to everyone you know. Ask to see their identification and heir badge before answering their questions. However, you should never invite anyone you don't know into your home. Census workers are currently only knocking on doors to verify address information. Do not give your Social Security number, credit card or banking information to anyone, even if they claim they need it for the U.S. Census. While the Census Bureau might ask for basic financial information, such as a salary range, it will not ask for Social Security, bank account, or credit card numbers, nor will employees Solicit donations. Eventually, Census workers may contact you by telephone, mail, or in person at home. However, they will not contact you by Email, so be on the lookout for Email scams impersonating the Census. Never click on a link or open any attachments in an Email that are supposedly from the U.S. Census Bureau. More info here. The following key nutrients are needed to help ensure that children obtain nutrition for optimal health. 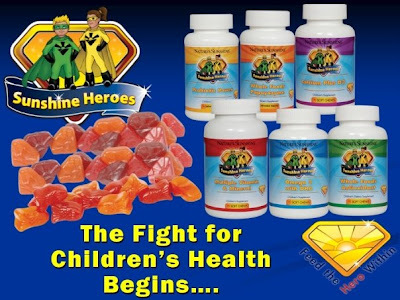 If you're already aware of nutrient needs for children, view the new Nature's Sunshine line of products for children: Sunshine Heroes Children's Supplements. A child’s diet must provide the essential nutrients to support physical and cognitive development. For optimal health, children must obtain a balanced and healthy diet. Adding a vitamin and mineral supplement to a child’s diet ensures that these important nutrients are not missed. Vitamin D is most well-known for its role in helping the body maintain healthy levels of calcium and phosphorus. It is essential for building and maintaining healthy bones. Calcium can be absorbed by the body only when vitamin D is present. Vitamin D plays many important roles beyond bone health. In adults, recent scientific evidence suggests that vitamin D plays a vital role in maintaining innate immunity. The American Academy of Pediatrics (AAP) has recently doubled its recommendation for the minimum amount of vitamin D that children should get daily. The new guidelines recommend at least 400 international units daily.3 That’s about four 8-ounce glasses of milk, but most children don’t drink enough milk to provide adequate levels of vitamin D. The AAP states that the best way to ensure that children receive adequate vitamin D is through supplementation. Omega-3 fatty acids are essential to human health but cannot be manufactured by the body. For this reason, omega-3 fatty acids must be obtained through the diet. Scientific studies confirm the numerous benefits that omega-3 fatty acids can have on human health in terms of mental, visual, nervous system and cardiovascular benefits. Two long-chain forms of omega-3 fatty acids, DHA (docosahexaenoic acid) and EPA (eicosapentaenoic acid), are both found almost exclusively in deep, cold-water fish. These fatty acids are key building blocks in every cell in the body. DHA and EPA are recognized for their health benefits in all life stages and are essential components as the body grows and develops. DHA is critical for the optimal development and function of the brain, eyes and central nervous system during infancy and childhood. DHA is a major structural fat in the brain and eyes, representing approximately 97% of all omega-3 fats in the brain and 93% of all omega-3 fats in the retina.4 Because DHA is a primary component of the brain and retina, a lack of sufficient DHA can negatively impact the development and function of these organs. 1 . “Vitamins for kids: Do healthy kids need vitamins?” Health & Parenting. Hoffman, M. 13 May 2008. WebMD. 26 March 2009. .
2 . Greer, F. R., Krebs, N., F. (2006, February). Optimizing bone health and calcium intakes of infants, children, and adolescents. Pediatrics, 117(2), 578-585. 3 . Wagner, C., L., Greer, F., R. (2008, November). Prevention of rickets and vitamin D deficiency in infants, children, and adolescents. Pediatrics, 122(5), 1142-1152. 4 . James A Greenberg, J.A., Bell, S. J., & Van Ausdal, W. (2008, Fall). Omega-3 fatty acid supplementation during pregnancy. Reviews in Obstetrics & Gynecology, 1(4), 162–169. 5 . Lui RH. Health benefits of fruit and vegetables are from additive and synergistic combinations of phytochemicals. Journal of Clinical Nutrition. 2003 Sep;78(3 Suppl):517S-520S. 6 . “Fruits and Vegies Matter.” 2009. Center for Disease Control. 16 April 2009. 7 . “Can Foods Forestall Aging?” 2007. US Department of Agriculture. 20 April 2009. 8 . Lipski Elizabeth Ph.D, CCN. Digestive Wellness for Children: How to Strengthen the Immune System & Prevent Disease Through Healthy Digestion. California: Basic Health Publications;2006. 9 . Oelgoetz AW M.D., Oelgoetz PA B.A., Wittenkind J. RN. The treatment of food allergy and indigestion of pancreatic origin with pancreatic enzymes. American Journal of Digestive Disorders and Nutrition. 1935;2:422–6.